1987 was something of a mixed a year. There was plenty of tragedy in the form of the Hungerford massacre, sinking of the Herald of Free Enterprise, the Remembrance Day Bombing and the fire at Kings Cross. Margaret Thatcher remained Prime Minister and Rick Astley was storming through the Pop charts. 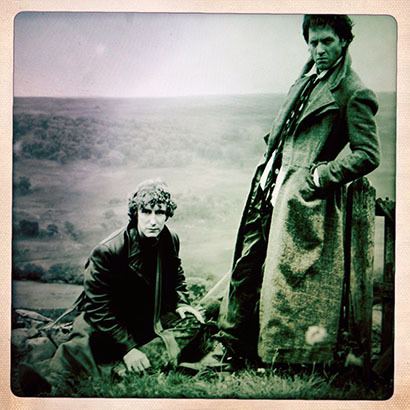 Amid it all, however, came the release of a low-budget film called Withnail and I – and the world was better for it. Though the initial box office returns were unspectacular, Bruce Robinson’s part autobiographical masterpiece has since gained an enormous following. Often touted as the most cult of all films, Withnail and I has surely outgrown the moniker. Marwood and Withnail’s glorious weekend away in the country is loved, quite rightly, by so many, that nearly thirty years on people are still shouting ‘Scrubbers!’ at girls on the pavement while attempting to utilize 12 papers in the construction of a Camberwell Carrot. The Lakeland location for our heroes adventures has inspired many who have followed in their footsteps, while one angler, Scott Winstanley has taken his obsession one step further by taking a rod as he reminisces – the results of which can be found in Fallon’s Angler Issue 5.